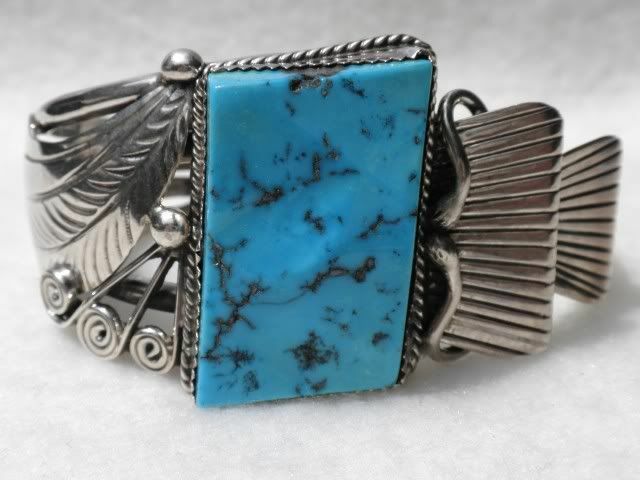 Vinatge Native American Southwest bracelet. 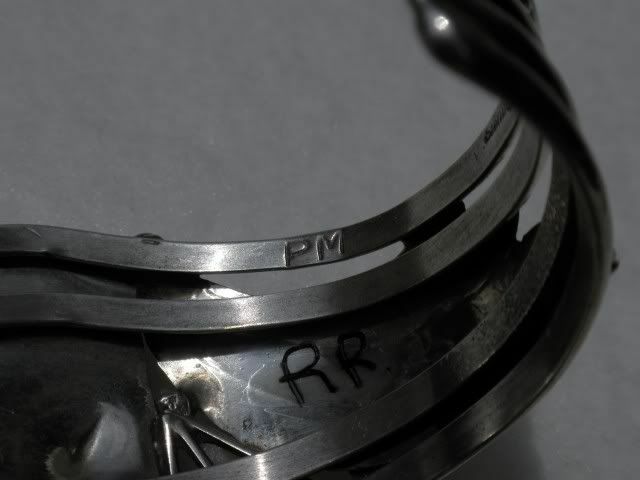 The bracelet is handcrafted signed P M and marked sterling. 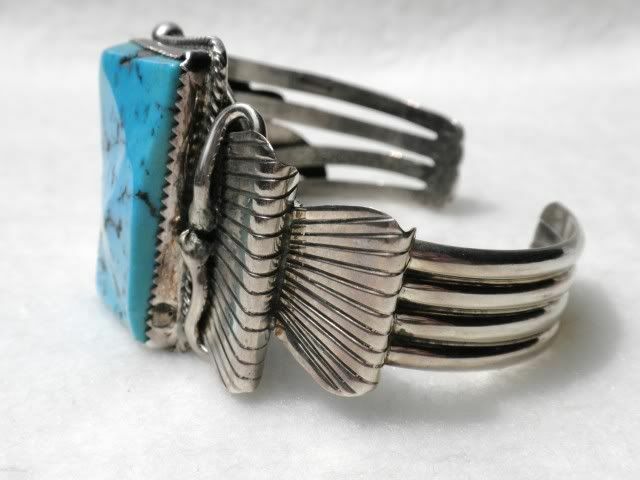 I believe to be Navajo Indian made in the last 40 years. 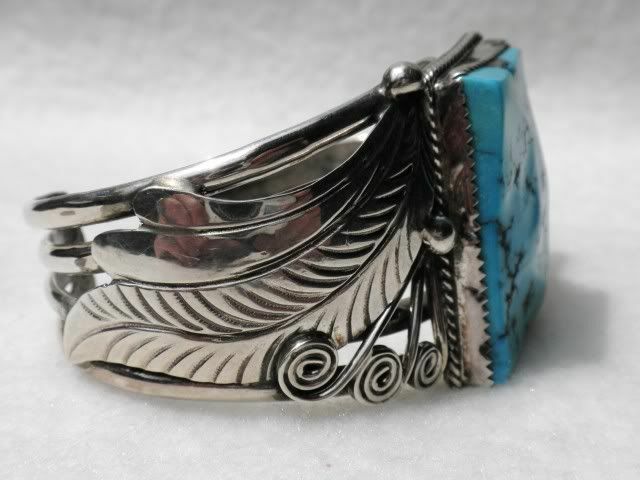 The bracelet is large measuring 2 5/8" wide by 2" deep and 1 3/8" long. 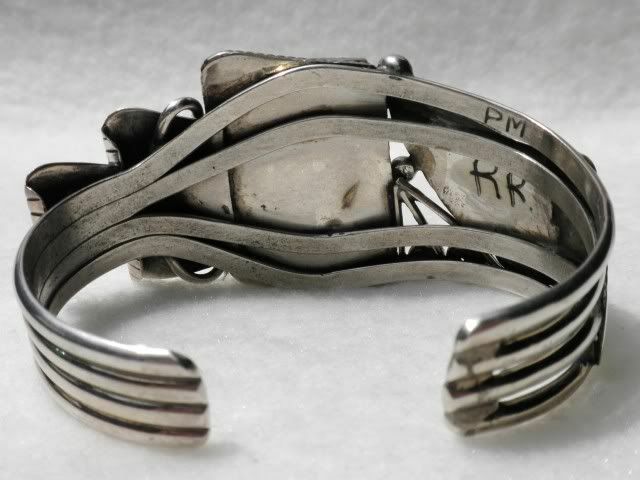 The bracelet weighs 1.75 oz sterling.